Ever wonder how to calculate the curve of the bowling ball, the balls velocity as it glides down the lane or the arch of the bowl after it leaves your hand? Determine which sporting equipment has the largest volume. Ever wonder why it cost so much to buy your favorite sport jersey? 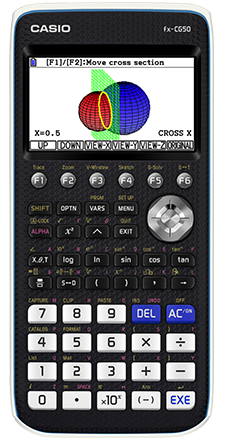 Download a FREE Sports related activity that you can incorporate into your lesson plans using our Casio calculators. 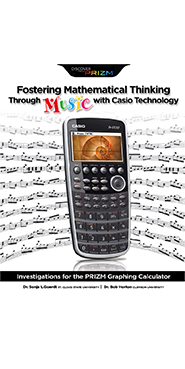 A resource for students, at any grade level, or teachers new to CASIO technology. These resources walk users through step-by-step introductions that include basics like calculator navigation and the most frequently used functionality. 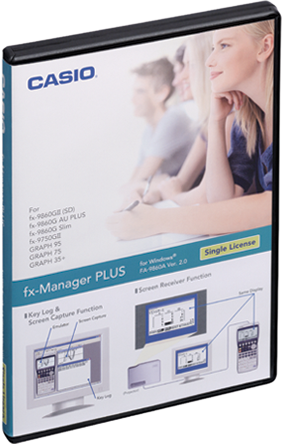 These are reference guides to help teachers and students start using CASIO graphing technology, highlighting specific CASIO features and basic overview of functionality. These are detailed resource guides written specifically for topical calculator instruction for the entire course. Quick Calculator tips that make heading back to school easier. Our Education Workbook Series is designed to support teachers, at any grade level, who wish to successfully integrate technology into their mathematics instruction. Each book offers complete and non-sequential, 4E x 2-based activities to provide teachers with maximum versatility to support or add to their current curriculum. Each book contains Common Core aligned lessons, comprehensive teacher notes, self-contained student activities, and calculator “how-to’s” with explanations, screenshots, and keystrokes. These workshops are 1-3 hours in length, content-specific, and have a strong focus on supporting your mathematics curriculum, while actively engaging learners through our award-winning technology. Let us help you super-charge student success! To learn more, contact your local Market Development Manager. 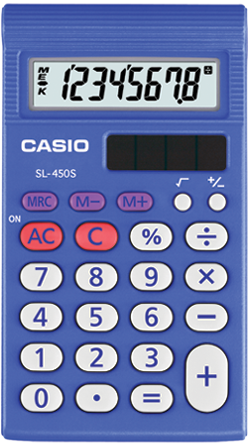 Casio's Fostering Series gives teachers a valuable resource to make needed changes and turn mathematics into an exciting endeavor that prepares students for the future. All aspects of the series incorporates the Eight Standards For Mathematical Practice by providing teachers with context that makes sense to students, helps them see the purpose of the mathematics, and aids in the development of mathematical intuitions and insights. Each investigation provides comprehensive tips for teachers to guide students towards a deeper understanding of the "big ideas" in mathematics, aligned to State and National standards, "Did You Knows" to help Engage students, rich context that allow students to Explore mathematics in real world situations, additional questions to help Extend the investigations, and sample comprehensive solutions with explanations, screenshots and keystrokes, included to help teachers understand multiple approaches that can help with the Explain component of inquiry. We understand the demands of successfully implementing the Common Core Standards and the importance of embracing the Eight Standards for Mathematical Practices in your classroom. Our professional development emphasizes mathematical modeling, allowing for application of mathematical thinking to real-world issues. Throughout these sessions, our facilitators will model expected educator and learner behavior as you work through rich investigations to help you guide students to a deeper understanding of the “big ideas” in mathematics! We offer two strands of Professional Development session that are 1 – 3 days in length, address National and CCSS, are available for individual schools, districts, or Casio academies, and all grade levels. Casio Education Strand: content is developed from our Fostering Mathematical Thinking with Casio Technology book series that unites the four components of Inquiry-Based Instruction – Engage, Explore, Extend, Explain – with formative assessment and reflective practice. Casio Customizable Strand: A customizable options that blends Casio’s inquiry-based philosophy and library of materials with your school or district’s current curriculum. Outcome of both strands is that educators will have all the materials and “know-how” to start integrating best practices along with using appropriate tolls strategically to engage learners in the math classroom! To learn more, contact your local Market Development Manager. Sample Questions from various State Exams. Follow along using your fx-9750GII/9860GII series calculator. List of different Casio resources that can be found online. 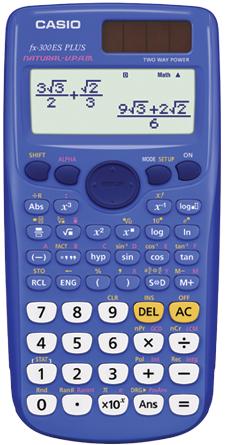 Quick guide to reset Casio Graphing Technology for testing purposes. Guide to using the Casio Picture Conversion Engine.